User-generated content is like gold dust when building connections with your audience. Discover what user-generated content is and its various benefits. When you’re looking to make content that’s relatable to your audience, no one will do it better than, well, your audience. User-generated content is like gold dust for brands. Getting your audience to interact and engage with the content you’re putting out there is one thing. However, if they’re going out of their way to not only connect with the content, but actively contribute to it, that’s something special. Here we dig into the gold mine of user-generated content and the wealth of advantages it can offer your brand when applied correctly. User-generated content is a marketing strategy that relies on your customers and followers to push your brand, products and services to their friends on social media or other platforms. This could be in the form of testimonials on your website, posting videos featuring your products or sharing a branded hashtag on Instagram or Twitter. As customers share their attachment to your brand and, by proxy, demonstrate how good and useful its offerings are, it influences the people they’re connected with to check you out themselves. While this should just be one arm of an overarching marketing strategy, with the right approach and understanding of your audience, user-generated content can build a deeper, meaningful connection between your brand and your target audiences. Some of the biggest brands have employed their audience for terrific user-generated content campaigns in recent years, but their principles can be applied to brands of any size of following (well, except zero of course, and if you have this number of followers I think you might have a couple of things to address first). Burberry’s The Art of the Trench campaign encouraged customers to share photos of themselves wearing the brand’s range of trench coats in any situation, which was shared on their social channels and a dedicated microsite. The result? A 50% year-on-year rise in ecommerce sales. The Share a Coke campaign is one of the most famous cases of UGC out there, when Coke create personalised labels for bottles and encouraged people to share them with friends who have the name on them. You might know the campaign, but did you know it contributed to a 2% rise in Coke’s U.S. sales after over a decade of decreased revenue? Lululemon’s #thesweatlife encouraged their customers to share photos of themselves working up a sweat in their gear on Instagram. This led to over 7,000 photos shared in a few months and a unique gallery that received 40,000+ visitors. The Starbucks White Cup Contest asked people to doodle on their white coffee cups and submit photos of these designs. Nearly 4,000 customers submitted entries in the span of a few weeks, and the competition earned a lot of positive engagement. Walkers enjoyed a taste of UGC with their Do Us a Flavour campaign, inviting their followers to invent a new flavour of crisps for a £1 million prize. This competition attracted over 1.2 million entries, and led to the winning entry (pulled pork in sticky BBQ sauce) being mass-produced. These examples demonstrate the buzz user-generated content campaigns can create when employed by brands of all shapes and sizes. That’s because the objective is to get your followers actively working to support your brand, increasing their connection to your company and introducing their friends and followers to your offerings. Let’s face it – many people are put off by assertive sales tactics and heavy-handed marketing methods. If you simply pile your social media feed with details about your products and services, you’re not going to create a connection with your audience, and certainly will struggle to grow it any further than it is at present. User-generated content gets people familiar with your brand through their friends and idols’ experiences. If they say that your products and services are worthwhile, people will be more inclined to believe them over the brand themselves highlighting it, even if you’re both saying the exact same thing. It’s also worth noting the role of micro-influencers in this area. While they may not have the same level of reach as a Kylie Jenner or Cameron Dallas, these social media influencers have a loyal, devoted fan base interested in a specific topic, to the point where their audiences consider them a close friend. If this topic relates to your brand/products, linking up with a micro influencer to promote your brand to a sizeable audience. A brand that shows it cares about its customers is going to be viewed in a better light than one that barely engages with their followers. User-generated content puts the people who engage with your business front and centre, and helps present the human connection of your offering. If someone is pictured using your products or sharing your hashtags, then it shows others that you’re a brand that’s connected with your audience. Building on the previous point, getting people involved in a competition or encouraging them to share a custom-made hashtag creates a community around your brand. It helps people feel like they’re united in something they care about, and establishes a shared emotional connection between your customers that those outside of this circle might be compelled to join if people they know are passionate about your brand. Obviously, if your customers are creating content to fuel your marketing, this is significantly less expensive than filling this void with content developed in-house. Of course, there will be an initial expense developing an idea your audience will get behind and perhaps you need to fork out something for a reward at the end, but outside of that your followers take it from there. Done correctly, this can make the ROI of user-generated campaigns remarkably high. This allows you to devote more time and resources to other campaigns and techniques that complement this strategy, ensuring you maximise their effectiveness and improve the overall stature of your brand. The effectiveness of user-generated content will depend on having a firm grasp on the interests of your audience. You need to present them with a goal or cause that aligns with these. Misjudging your audience will likely result in your UGC campaign not catching attention and potentially, in the worst-case scenario, alienate them instead. As well as knowing what your audience is passionate about, you also need to gear your content to the platform you present it on. For instance, Facebook and Instagram are great places to share contests based on photos and videos, while Twitter is a good fit to start a powerful hashtag campaign and engage with those who respond. So pick your platform carefully to maximise results. This is a trap many brands have unfortunately fall into – just because someone takes a photo of themselves with your products doesn’t give you the right to use them without permission. To be safe, always ask the person’s permission before using anything they’ve posted (they’ll appreciate your consideration), or make it clear in the terms of your campaign that anything supplied by them might be shared on your own channels. Finally, it is essential to track how effective your campaign is and measure it according to your goals going in. Has the campaign increased engagement with your content? Has there been an increase in traffic to your website? Have products featured in the campaign seen an increase in sales? Consider these questions and more to judge the success of the campaign and what lessons you can take on board for next time. 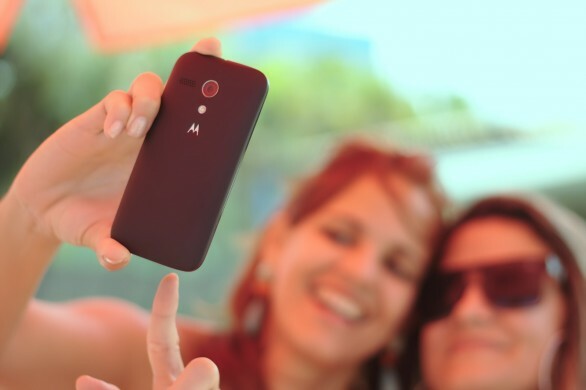 Ready to Tap into Your Audience with User-Generated Content? Now you understand the power user-generated content can have in boosting the engagement surrounding your brand and creating cost-effective campaigns that really speak to your audience and beyond. If you’d like to learn more about how to apply user-generated content in your strategy, check out our follow-up article on 11 UGC ideas. Or, if you’re ready to start benefitting from this exciting technique straight away, our team is here to help. At Storm, our in-house team’s range of expertise allows us to introduce our clients to a range of marketing methods applied under one unified strategy. This leaves no avenue unexplored in maximising their return on investment and helping them generate leads and keep them engaged through each stage of the marketing funnel. User-generated content is just one of many options available, and our specialists in social media, design and strategic marketing can allow your brand to make the most of this approach to build and entertain your followers, as well as encourage a steady stream of cost-efficient content from your fans.